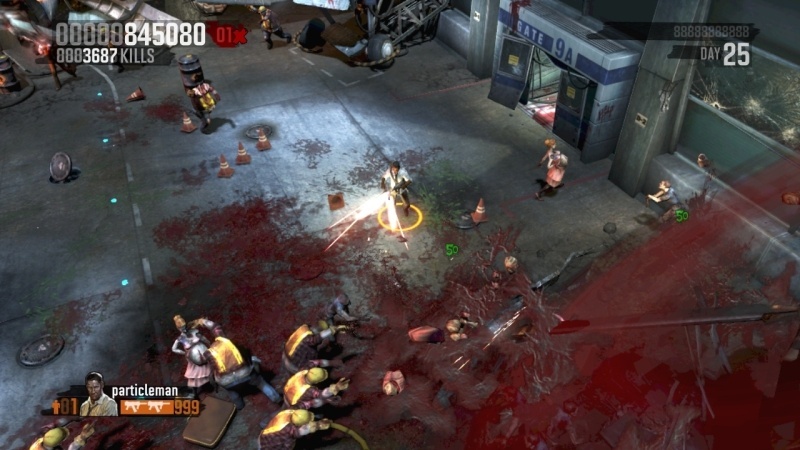 Konami announced yesterday that their 4 player co-op shooter that's "Smash TV meets Left 4 Dead" will be released on the Xbox LIVE Arcade and Playstation Network next Wednesday, Sept. 23, and Thursday, Sept. 24, respectively. The twin stick shooter that puts you and your friends in the middle of 55 days-worth (read levels) of zombie attacks will retail for 800 MS points and $9.99 on the PSN. Personally, I'm looking forward to slaying a few more zombies before Left 4 Dead 2 arrives, and the idea of luring zombies into a wood chipper, as highlighted in the Playstation Blog's interview with John Slavin, sounds too fun to pass up. A copy of the release announcement, as well as a gallery of screenshots from the game, can be found after the break. Konami Digital Entertainment, Inc. today announced the release date and new screenshots from the highly anticipated downloadable game Zombie Apocalypse. Coming to Xbox LIVE® Arcade for the Xbox 360® video game and entertainment system from Microsoft on September 23 and the PlayStation®Network on September 24, Zombie Apocalypse drops players in an epic battle between the dead and the living! Equipped with ample artillery, players' dual analog stick shooting skills will be put to the test in the thrilling arcade style shooter. As gamers set forth on their mission to conquer zombies, they can choose from up to 11 diverse weapons including assault rifles, flamethrowers and teddy bears filled with C4 explosives. 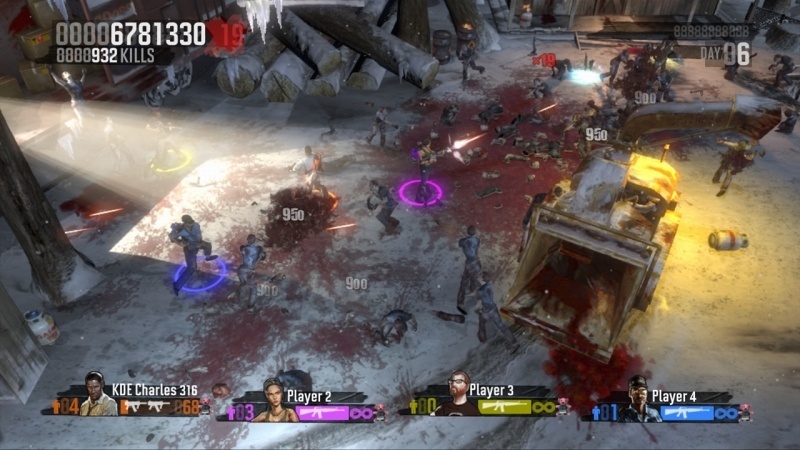 A chainsaw is also available to players who want an up close and personal encounter with the roaming dead. 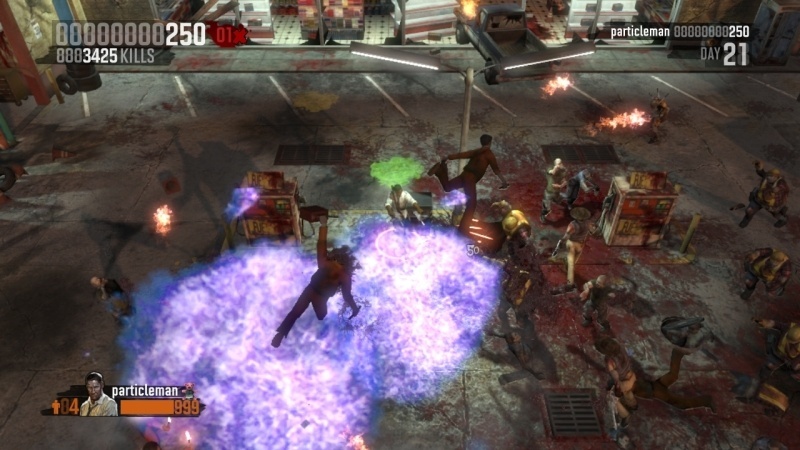 Savvy players can also take advantage of their surroundings as they utilize environmental hazards to destroy massive hordes of zombies. 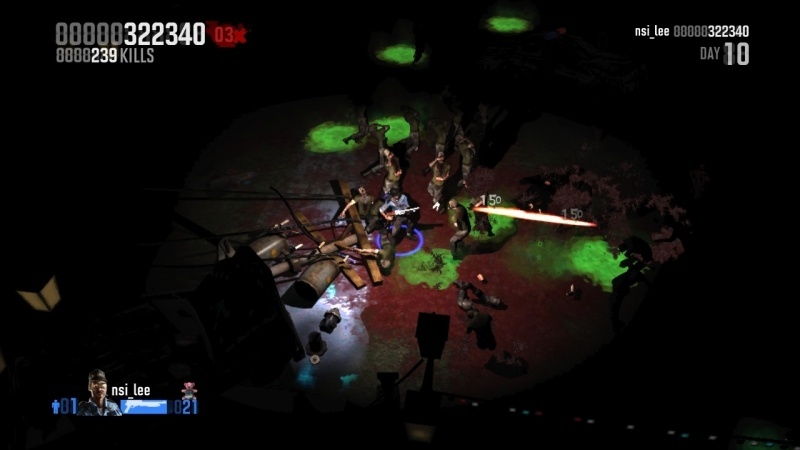 Players navigate through seven environments and fight their way through 55 days of zombie attacks without becoming a brainless zombie. Should they succeed, they will be rewarded with seven challenging game modes that will enable them to re-live the apocalypse all over again. 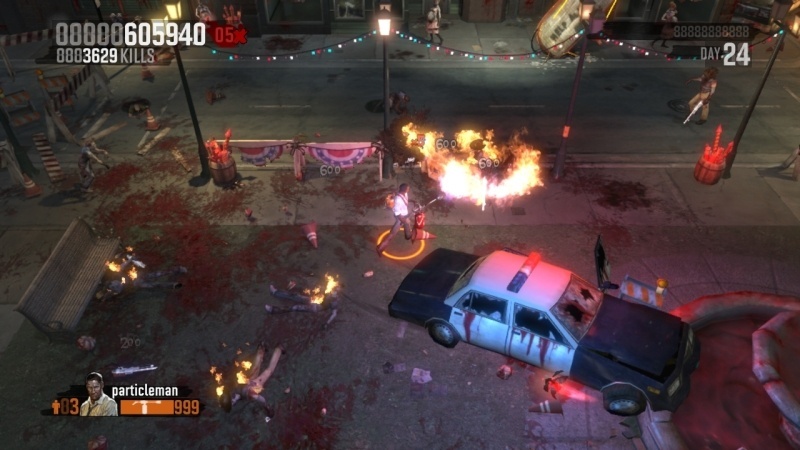 As an added bonus, gamers do not have to face the evil masses alone as multiplayer capabilities allow up to four shooters to take on the zombie confrontation locally or co-operatively online. Zombie Apocalypse will be available on September 23 on Xbox LIVE® Arcade for 800 Microsoft Points and September 24 on PlayStation®Network for $9.99. Page created in 0.2447 seconds.